After a long 111 year wait, the Irish International rugby side finally defeated the mighty All Blacks of New Zealand. 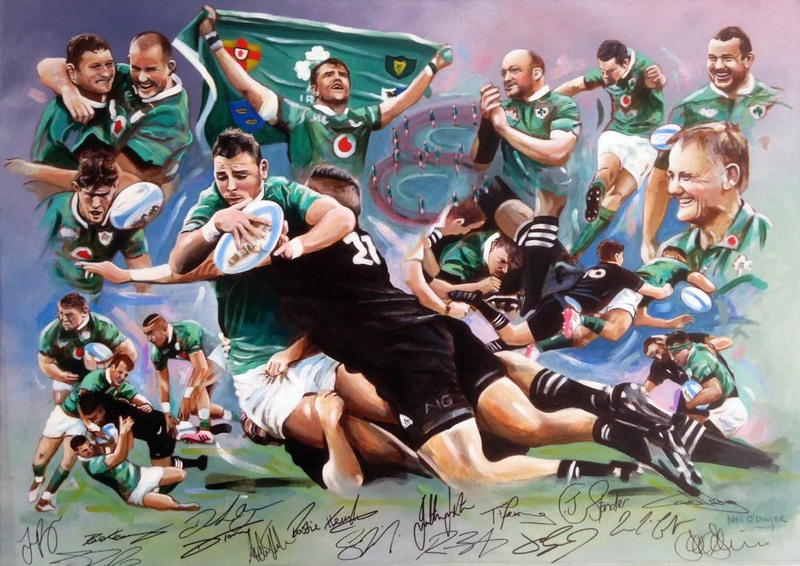 This historic event took place in Soldier Field, Chicago, on Saturday November 5th 2016, and the starting Irish fifteen heroes were as follows: Rob Kearney, Andrew Trimble, Jared Payne, Robbie Henshaw, Simon Zebo, Jonathan Sexton, Conor Murray, Jack McGrath, Rory Best (Capt), Tadhg Furlong, Donnacha Ryan, Devin Toner, CJ Stander, Jordi Murphy, and Jamie Heaslip. 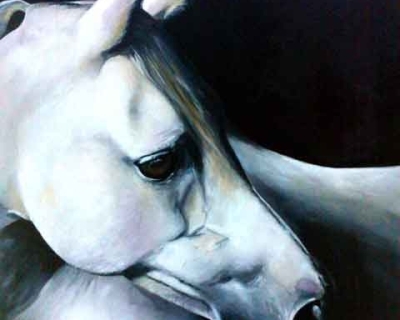 Earlier this year I completed a painting celebrating this long awaited event, which I donated to the Make-A-Wish Ireland Foundation. 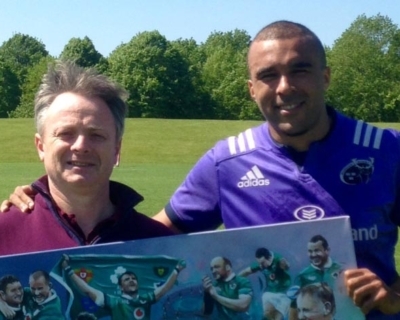 It was signed by the starting fifteen players (including Coach Joe Schmidt), and was auctioned at their Annual Fundraising Ball on May 13th in Dublin. 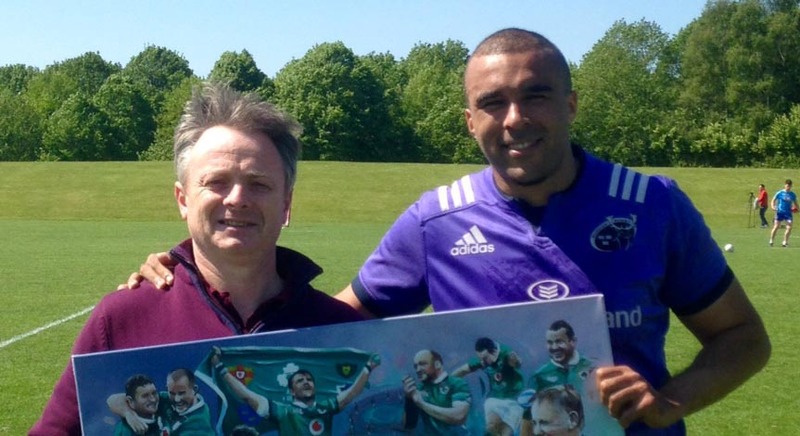 As this is the only artwork in existence signed by this team, it is a very precious piece of Irish sports memorabilia, and I’m delighted to say that it made €9500 at the Fundraising Ball.